1B, 3A and 3B. – IPAF Training. 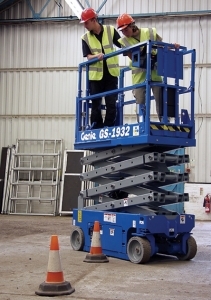 IPAF training is the most widely recognised standard for Mobile Elevated Work Platform courses. 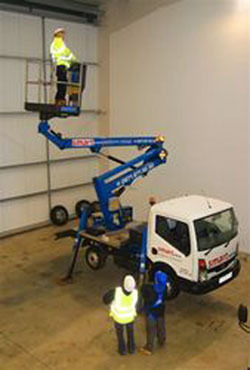 These are commonly known as MEWP’s or Scissor Lifts and Cherry Pickers. MHA Training is a fully approved and registered IPAF training provider and we can deliver a wide range of courses. This can be done at our training centre in Warrington or On-Site at customer premises Nationwide. 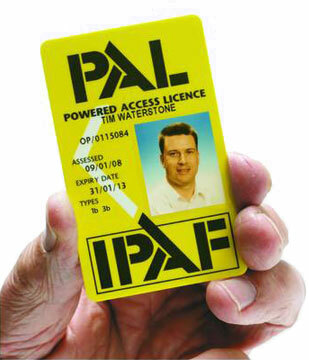 The International Powered Access Federation (IPAF) promotes the safe and effective use of powered access worldwide. Set up in 1983, IPAF is a none profit organisation that represents the interests of IPAF training companies. Over the years, IPAF has played a key role in promoting many of the design safety and testing procedures that are now established in the powered access industry. Companies such as MHA Training in Warrington are responsible for training for over 90,000 operators each year. Those who successfully complete IPAF training at our centre in Warrington, or out On-Site nationwide are awarded the PAL Smart card. The (Powered Access Licence) is the most widely held and recognised qualification for mobile platform operators. The PAL Smart card is valid for five years and shows the machine categories that an operator has been trained on. It also features the holders photo and signature, and can be verified on their website. IPAF itself does not provide training, it is provided by approved quality training centres like MHA Training. Approved IPAF training centres are regularly audited by IPAF, which ensures the highest standards are consistently acheived. Class sizes are kept small and courses generally last 1-2 days and are a mixture of theory and practical. To ensure success candidates must then undergo a 30 question multiple choice paper and a practical test. Course material is available in many languages and IPAF training centre’s receive regular updates. Find out how the eLearning module works. 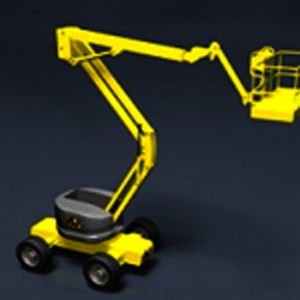 IPAF’s new E-learning module is part of its full training programme for mobile elevating work platforms (MEWPs). The E-learning module delivers flexibility and interactive tools, with the same emphasis on practical training. Together with supervised written and practical testing of operator skills. E-learning can lead to a PAL Card (Powered Access Licence) which proves that the operator has successfully completed the training and is able to operate MEWP’s safely. Trainees complete the theory part anytime, anywhere, on any device, at their own pace. Engages trainees with games, quizzes, videos and simulations. Operator E-learning does not replace practical training. Trainees who complete the online session must still pass a supervised theory test with an IPAF centre like MHA training. Also must successfully complete a minimum half-day of practical training and testing before being issued a PAL Card as proof of successfully completed operator training. Harness Use and Inspection (H). Download the IPAF Training Course Syllabus! For details of all of the topics covered on our IPAF courses please have a look at our IPAF course syllabus.